Hi everyone. Welcome back to our book study on chapter 9 of Guided Math: A Framework For Mathematics Instruction. It has been a great nine weeks and I’m glad that you stuck around to join us in the book study. I hope after following along with us, you are planning on implementing the math workshop into your day and have come away with some great ideas. How will you begin to implement the Guided Math Framework in your classroom? I have been working with math groups and guided groups for years in my class. I am so glad that I read Laney Sammon’s Guided Math: A Framework for Mathematics Instruction. I have been feeling stale lately. I don’t know if that make sense, maybe in a rut is a better phrase. Have you ever felt like that? After reading this book and reflecting on my last year, there are some things that I definitely need to change. 1. I need to spend more time on morning stretches. I always intended to do the morning stretches, but then it just never happened. Hopefully, using the morning stretches planning pages will help me to make sure that I actually do them. I also plan on incorporating new morning stretches, like the math current events. 2. I need to spend more time on structure and routines this year. Maybe I was just used to 3rd and 4th graders…I don’t know. I really need to spend A LOT more time setting up my expectations during guided math. I found it very difficult to meet with all of my planned groups, and I think that is why. 3. I already use music, videos, and games in my instruction. Next year I plan on using more. 4. I need to spend less time with independent students that are struggling with a concept. Sometimes that one student monopolizes my time…and there go my guided groups. How will you begin to implement the Guided Math Framework in your class? How can you create a professional learning community to support you as you modify your mathematics instruction? Ok. I’m kind of at a lost of how to create a professional learning community that will support each other. That sound horrible, doesn’t it?? I moved to a new school two years ago and things have been kind of rough. Don’t get me wrong, I love my new school and my colleagues. They are all fabulous teachers, but I work a bit differently than they do. I’ve tried to share ideas, only to be shot down many times. There are several other teachers who listen and try out different ideas. Hopefully this coming year, the small group of teachers and I can meet up at least once a week before or after school and form a small support team. I am also on the Professional Development Committee this year. I would love to bring in the workshop model and guided math to the rest of the teachers through professional development. Can you give me any advice? What would you do? Thanks for stopping by and saying hi. I had a great time discussing the math workshop and guided math with you. Remember to hop through and read what others have to say about chapter 9 and enter the last 🙁 giveaway. Hi everyone! Welcome back to our book study on Chapter 8 of Guided Math. Chapter 8 is all about using assessments in guided math. As teachers, we collect tons and tons of data. I have to be honest, I have so much data and sometimes it can be a bit overwhelming. Is anyone else with me? Why is assessment essential in a Guided Math classroom? Assessment is essential so you know what your students understand and what they are struggling with. In order for Math Workshop and Guided Math to work, students must be placed in the correct group. By continually assessing your kids, you know the instructional level of each student and you are better able to meet the needs of each individual student. Assessment is also important because it guides your instruction. I know there have been many times when I think my kids have understood a concept. Then I look at their work and my heart stops, half of the class is incorrect or having difficultly. Then as an educator, I have to stop and reflect on what happened and come up with a different approach. But on a positive note, sometimes I after assessing my students I realize that I can move on quicker than I thought because most of the class has grasped the concept. 🙂 I love those days!! Don’t you? What kinds of assessments do you use in your classroom? Is there a blend of assessments and evaluations? I know that there is a difference between evaluations and assessments, but sometimes I lump all of the data together. I assess my students everyday. When we assess our students, we gather a large amount of data from a small group of students. Each day during guided math groups, I am able to assess my students. 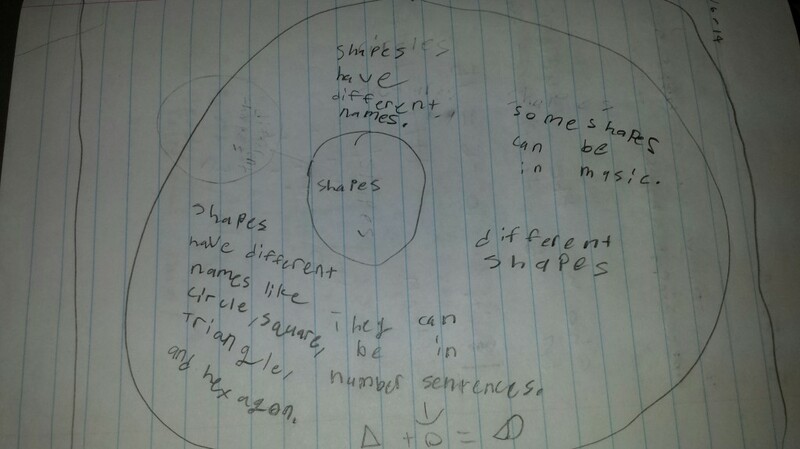 I am able to see what my students know or what misconceptions they have about a strategy or a topic. I also assess my students based on activities completed during small groups. In my class, we use GoMath for our math curriculum. Each day, there is a quick check to assess the students’ understanding of the concept or skill being taught. This is one way that I create my math groups. Each day after my mini-lesson, I walk around with my checklist and use the data to make my groups. Here is a copy of my quick check that I use for each lesson. Students are also assessed through activities or games. 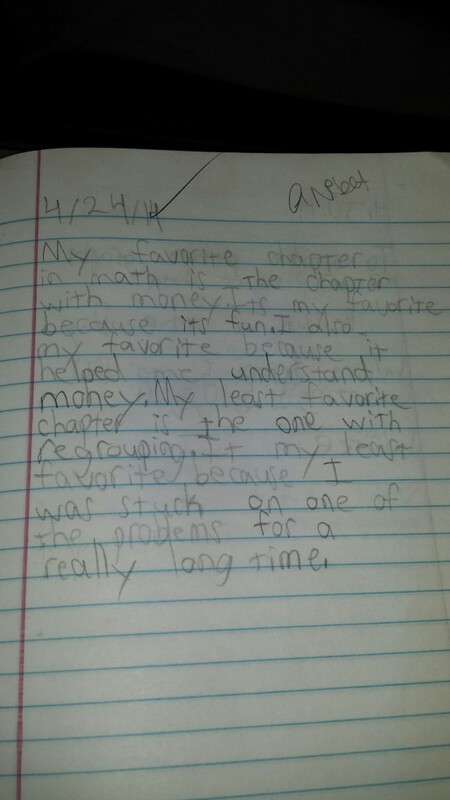 My kids enjoy writing and solving their own word problems. I use a rubric to assess my kids’ strengths or what they need to work on. 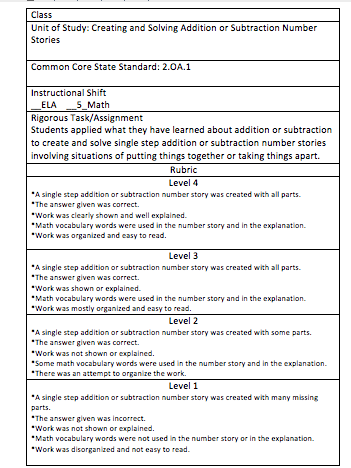 Here is a copy of one of the rubrics I use for assessing writing and solving word problems. I also provide feedback to my kids. Students are given their strengths (glows) and what they need help in (grows.) Students are then given the opportunity to use the feedback to improve on their work. We also work on giving peer feedback and students self reflect on their own work. At the end of each chapter, students are evaluated on their knowledge of all of the concepts or skills taught during the chapter. 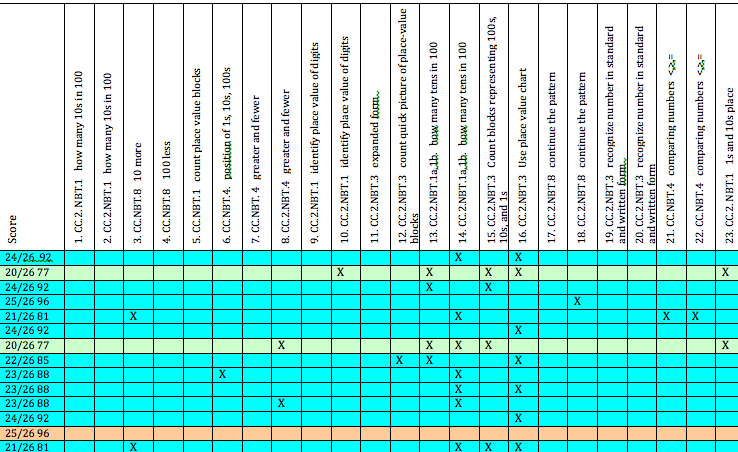 Here is my data spreadsheet (I’m pretty sure that I have shared this before.) If you teach 2nd grade and use GoMath, you can check out the chapter item analysis for the entire year here. I also evaluate my students on what they already know or need to know in September using the Prerequisite Skills Test Analysis and the Beginning of the Year Test Analysis. They have been a life saver!! How do you assess or evaluate your kiddos? I’d really like to know. Hi everyone! Thanks for coming back to discuss chapter 6 in Laney Sammons Guided Math: A Framework For Mathematics Instruction. Chapter 6 is all about supporting guided math with math workshop. 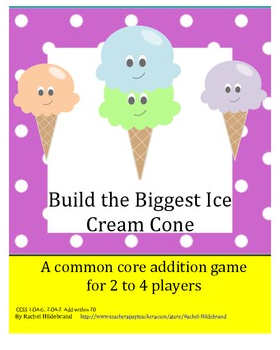 There are many advantages of using Math Workshop in your classroom. It is definitely flexible. In my class, students sometimes work independently, in pairs, or as a group. There are days where the students begin working independently, then go into partner or group work. This is one way that I ensure that the work that needs to get done is actually completed. There are also some challenges of using Math Workshop in the classroom. It takes quite a while to get the routine set up in the beginning of the year. The students are always coming up to you and asking questions or often off task. But once the routine is set, it is so worth it! It also takes more time to plan an effective Math Workshop. You need to be sure to select tasks that are appropriate and rigorous for the students. 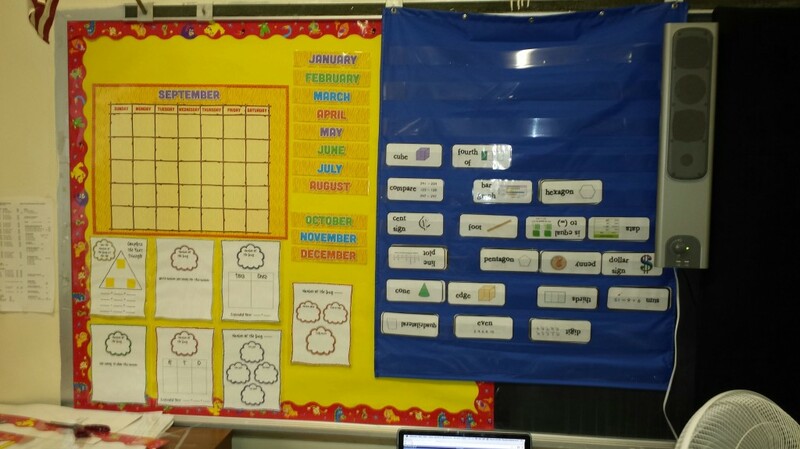 What are some ways you can organize your classroom for Math Workshop? Organization is key when setting up your classroom for Math Workshop. If you already have your room set up for Guided Reading, then you already know what to do. I have an area set up in my room with all of my labeled math manipulatives that are easily accessed by the kids. The kids know where everything is and because things are labeled, the students know (eventually) where the material goes at the end of math. I also have an area set up for my guided group to meet. I sit with my group on the floor towards the back of my room. Each table (I have 5) is designated a group. I usually have 3 groups plus my guided group. I have a math board in the front of the room where the groups, the activity, and the rules are posted. How can implementing Math Workshop promote the learning goals you have for your classroom. 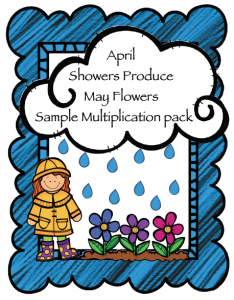 When you use Math Workshop in your classroom, the students are given more effective tasks. Students become more independent and are held accountable for their learning. The students also work with each other and develop their math talk. They are able to discuss math and share the different strategies or ways that they solve a problem. 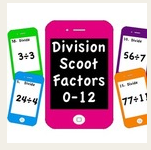 By implementing Math Workshop, the students are working on their level, not below or above. This ensures that the kids are not frustrated or bored in math class. You also get a better view of what the students know or don’t know and can quickly correct the misunderstanding. Laney Sammons gives some types of tasks that can be used during Math Workshop. *Practice for math fact automaticity. *Use mathematical games to reinforce concepts. *Complete math-related work from other subject areas. 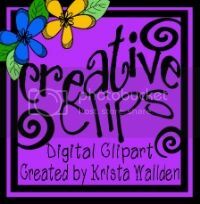 *Complete work from small-group instruction. I love playing math games with my kids. They are great to review concepts already taught. 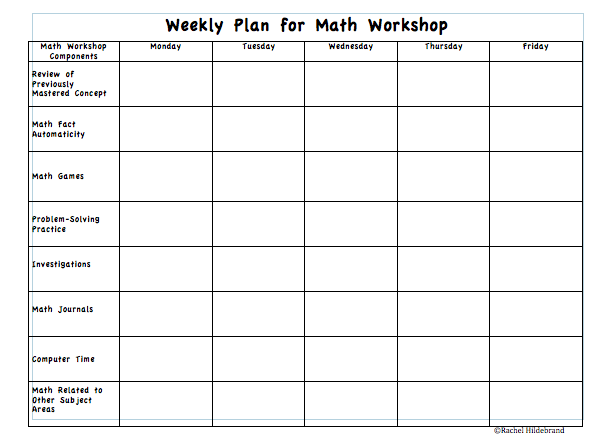 Click below to download a Weekly Math Workshop Plan. 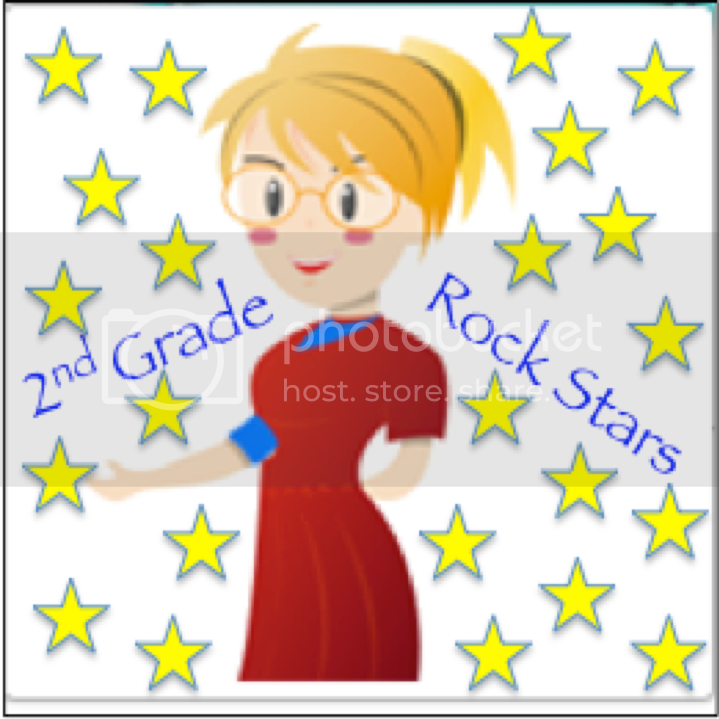 What ways do you organize your classroom for Math Workshop or how do you plan to organize your room for next year? I am really excited to be part of this Math Study Group on the book Guided Math, by Laney Sammons that Primary Gal has put together. I don’t know how Primary Gal does all of the things that she does! I love math! Math is a touchy subject, you either love it or hate it. In my first few years of teaching, I was a literacy person. I even have my masters with a concentration in Reading. I was planning on becoming a reading teacher back then. Then things changed. Somewhere along the way, wait for it…I became a Math person. I can’t really put my finger on when it happened, it just did. After reading Laney Sammons book, I started to feel good about my math time again. I recently moved to new school where they are just beginning to introduce math groups into their instruction. So, I started to reflect on what aspects of my current math instruction are successful. I definitely have a classroom that is math-rich. There is my math wall, my anchor charts, and tons of manipulatives. My kiddos have math journals, or as we call them yellow notebooks where they solve math problems, create math problems, complete activities, and write about math. According to Laney, whole group instruction is a great way to introduce a concept or to review mastered concepts. I start each lesson with a short teach, or whole group instruction. I have an 80 minute block for math so sometimes my teach part is a little longer than I plan on, especially when my kids are so excited and are talking. Each group is given activities based on what I notice during the lesson. SO MY MATH GROUPS CHANGE EVERYDAY!!!! Everyday I walk around with a checklist and I mark if the students answered the Quick Check questions correctly or incorrectly (We use GoMath.) 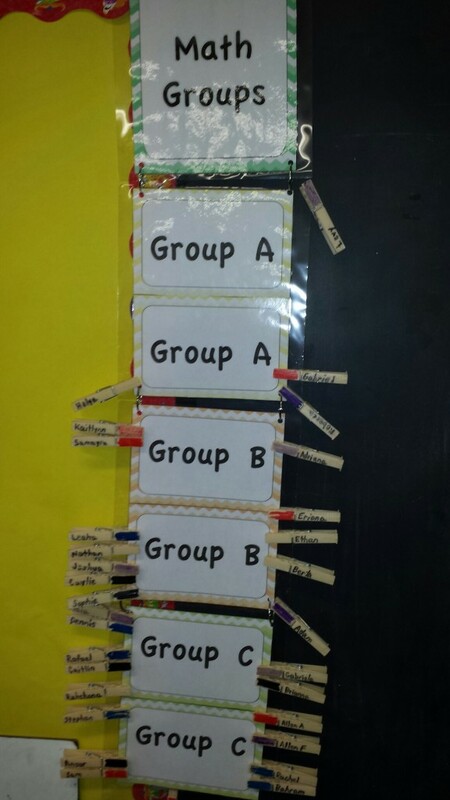 Based on what I observe, the students move their clothespins to the group they are assigned to. Then my kids move into their groups. WARNING!! IT DOES GET NOISY!!!!!! I color coded the clothes pins just so they could find their names easily. I float around the room, checking to see if the students are in the correct group and sometimes make adjustments. Looking back at my math time, there are some aspects that I do not love. Sometimes you get caught up and run out of time. I am that teacher who is always rushing to pack up at the end of the day or the last class to get to the lunchroom. SHAME ON ME! I almost never do them! It’s not that I don’t want to, I do. We started off really well in September. The kids were so excited about the math wall. But after about a month, I just couldn’t find the time. I tried doing it in the morning, after lunch, before packing up to go home but for some reason, it never seemed to work. This is one area that I definitely need to work on for next year. According to Laney, the kids should be doing a daily warm up with math activities. I agree and really, really want to have my kids work on the daily routines. So my goal over the summer is to figure out a way to get it done. Another area that I have been struggling with this year is pulling pre-planned guided math groups based on my data. I have tons of data. 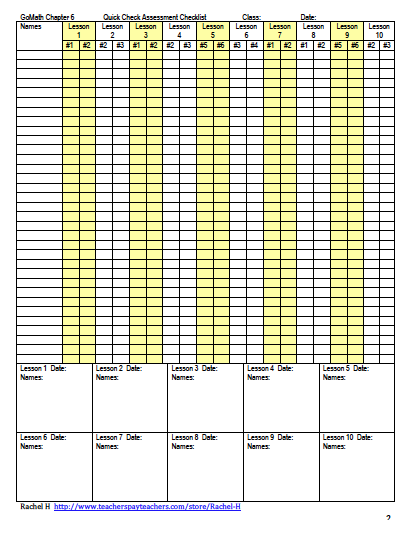 I start of each week with pre-planned groups based on the data from exit slips or from different assessments. I get to pull maybe one or two pre-planned groups. The rest of the time I seem to work with my struggling students. I often have to review the concept with my struggling students every day. It is because of this that I do not always get to meet with all of my groups. I have become content if I meet with my other groups twice a week. Meeting with my on level and above level students more is another goal for next year. Thanks for stopping by and saying hi. What are some aspects that are going well for you in your math class? What are some aspects that are not going well for you? Don’t forget to come back next week to join us for our discussion on chapter 2 of Guided Math by Laney Sammons. Enter the Rafflecopter below for your chance to win some goodies! What is going well for you in your math instruction? What aspects of your math instruction are you struggling with?